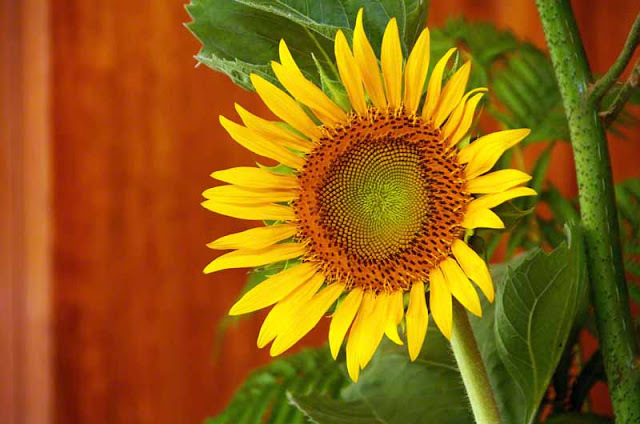 Ryukyu Life: Flower Photo: Sunflower on Stage and Farewell Typhoon Muifa ! Flower Photo: Sunflower on Stage and Farewell Typhoon Muifa ! That Typhoon Muifa is departing Okinawa, Japan finally. We're now in what the radio calls, recovery. Emergency crews are out assessing damage, removing fallen trees and getting those without electricity back on line. It's still fairly windy and cloudy outside. I have to get out. Here's a photo of a sunflower on the stage up in the village of Ada where I caught that energetic gal picking things to decorate for the SHINUGU MATSURI. I want to go chase some sun but, doubt I'll see any today. Maybe, I'll catch a few shots of the farewell to Typhoon Muifa for you. Have a great weekend, wherever you are ! I think nature has a grudge with Japan for some reason Mike, I hope it all settles down for you guys soon. Ahh, weather like this has been going on throughout history. We just hear about it more often these days, I think. Just glad I don't live near the Bermuda Triangle ! Perhaps one of the main reasons why Okinawa has so many festivals is on account of being constantly reminded of there maybe being no tomorrow to celebrate there? Hah, just fun-loving folks !